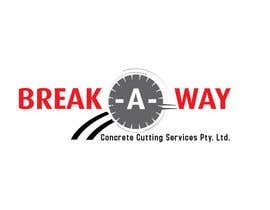 Logo Design for Break-a-way concrete cutting services pty ltd.
We need a professional company logo to take us into the future. ravijoh is the winner I am sure you can see his design in his profile. Pretty similar to #43 but I think not a lot of unique ideas were possible here as a lot of the designs are somewhat similar to each other. Ravijoh's other is design is much better (#37) then the winning one. Another concept, #245. Please review. Thanks! Thanks MD is after black and red with company name in Capital letters. Must also be a concrete cutting blade. Hi, #28 is my first attempt for you. I will work on other ideas and submit soon. Hi, #58 is #29 with the font of the second half changed as requested. The A is part on the blade and part off. See what you think and let me know. Cheers. Hi, #196 is another design for you to consider. Cheers. Uploaded #173 and #174 - do check. Thank you. I've added three new concepts, #154, #155 & #156. Please let me know what you think. http://www.breakawayconcut.com.au/ - is this your site? @CH, Could you please make this contest guaranteed? thanks! #125, #126, #127, #128, #129. Can change colours if so desired. Please,let me know your comment on #114 #117 #118 #119 #120 #122 #123 #124 .